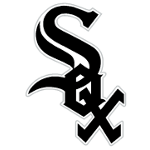 The Chicago White Sox is a major baseball league team located in Chicago, Illinois. The club was first called as Chicago White Stockings and soon after shortened to Chicago White Sox. The Chicago White Sox are nicknamed as the South Siders, the Pale Hose, the ChiSox, and the Chicago media refers it as the Sox. The team play in the American League's Central Division, from 1991 it played in US Cellular Field. The club bags three World titles in 2005, 1917, 1906. AL pennants titles in 2005, 1959, 1919, 1917, 1906, 1901, and has won three Central Division titles and two West Division titles. There are currently 1 consumer reviews about Chicago White Sox available. Share your review. Please take a note that you are about to post a public review about Chicago White Sox corporate office on CorporateOffice.com. This review will be public, so please do not post any of your personal information on this website. If you would like to contact the corporate offices of Chicago White Sox, please use their contact information such as their phone number, website, and address listed above to contact them. However, sometimes staff from Chicago White Sox headquarters do read the reviews on this website.